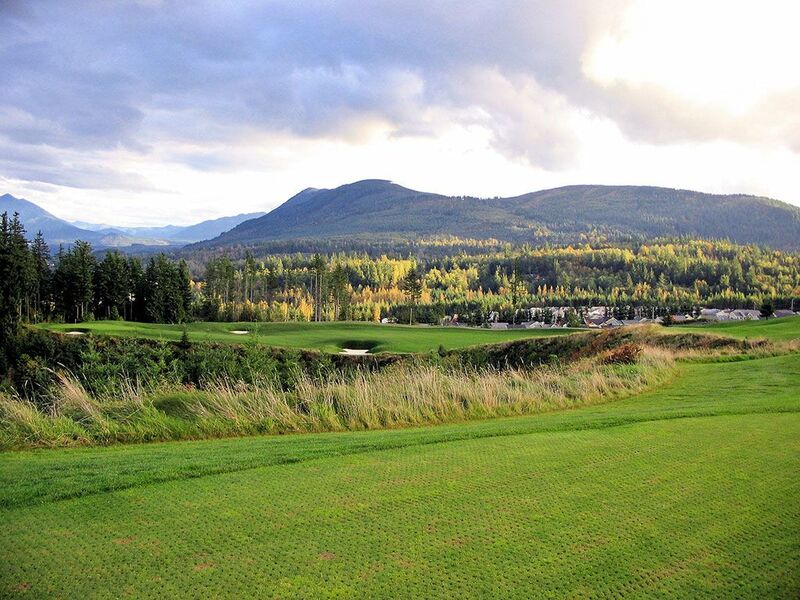 Course Website: Official Website - Visit The Club at Snoqualmie Ridge's official website by clicking on the link provided. Accolades: Ranked 8th in Washington on Golf Course Gurus' Best in State list. What to Expect: The Club at Snoqualmie Ridge course is classic Jack Nicklaus design; lots of deep bunkers (107 total), a good variety of hole lengths, and a challenging layout. The 222 acre layout plays over 7200 yards from the tips and features some attractive views; particularly those of Snoqualmie Falls. The par four 14th hole has been touted as one of Jack's best designs and it fun for one and all to play. There is a ton of elevation changes throughout the course that annually hosts the Boeing Classic on the Champions Tour. Signature Hole: 14th Hole – 448 Yard Par 4 – This stellar signature holes in one of my all-time favorite par fours. A big dogleg left, the hole plays very downhill and the entire inside of the dogleg is a deep tree covered crevasse. The hole is the ultimate risk/reward situation if you are going for the green. Best Par 3: This attractive hole plays over the water to a wide green and also offers an alternate route by following the dogleg fairway from left to right. My uncle, Scott Burt, aced this hole in 2008 (the third hole-in-one of his career). Best Par 4: This hole is just a blast to play. The safe play is down the fairway on the right while the risky play is blasting away at the green over the tree covered ravine. Champions Tour players often go at this green with a 3-wood when the tees are up one box. Best Par 5: At 498 yards, the 18th hole seems very docile but the 16 deep bunkers found throughout the hole beg to differ. Seven of those bunkers are found within reach of the tee box which makes picking a line with your driver difficult, but threading your drive through the trouble will provide an excellent opportunity to reach the green in two. Your approach shot will be uphill and will have to contend with five bunkers surrounding the putting surface. The two tiered green can create some interesting putts, but there should still be plenty of birdies made at this sub-500 yard par five. Birdie Time: With a rating and slope of 75.8/143 you can imagine there aren't many gimmies for birdie at this course, but your best chance maybe right off the bat at the 1st tee. Measuring 554 yards, the hole plays downhill and boasts a wide fairway to hit. Whether going for the green in two or laying up for a pin seeking wedge shot, if you can steer clear of the three fairway bunkers approximately 100 yards from the green then the hole yields an excellent chance to reach this 36 yard deep green in two and make some noise with an early birdie. Bogey Beware: The 484 yard 11th hole is just a tough and long hole. A big drive can carry the bunkers on the inside of the dogleg and offer a decent distance to approach this green from, otherwise you will likely have a long iron or hybrid shot in to this challenging green that is protected by a trio of deep bunkers.